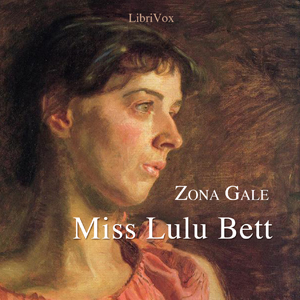 Listen to "Miss Lulu Bett" on your iOS and Android device. Lulu Bett is a spinster, living at the turn of the 20th century essentially as a servant with her sister Ina and brother-in-law Dwight. She is, uncomplainingly, "the family beast of burden," living in the background and tending to the family's needs. It therefore surprises everyone, Lulu included, when Dwight's visiting brother Ninian proposes to her, and she accepts. The surprise is even greater when Lulu returns home alone from their homeymoon trip, with the news that Ninian was already legally married before he married her. What follows brings Lulu into conflict with the self-satisfied Dwight, forcing her to choose how she defines herself, with unexpected results. This novel is the basis of the 1921 play for which Zona Gale became the first woman to win the Pulitzer Prize for drama.